Meet our Campus Relations team! These gals work so hard for our chapter making sure all of us are in tune with what is going on with Panhellenic and other activities on Auburn's campus. We have Parker van Durand, VP of Campus Relations, who is their fearless leader; Annie Ozment, Junior Panhellenic Delegate; Katherine Carothers, Director of Leadership; Katherine Facteau, Director of Activities; and Morgan Hawk, Intramural Chair. We asked each of them about the role they play in Alpha Gam, and what is their favorite part is about their position. My role is to make sure Alpha Gam is involved in other organizations and events on campus! I am also in charge of Alpha Gam’s involvement with Panhellenic! My favorite part of this job is getting to meet members of the other amazing sororities on campus! They all put on great events! My favorite thing is being able to make friends with girls from every sorority through our weekly meetings! My role is to attend all Panhellenic Council meetings which are biweekly, and every other week I attend a meeting with the other Junior Panhellenic Delegates. We promote events our sorority is putting on and help with Panhellenic wide fundraisers and drives like Habitat for Humanity and Valentines Day cards for retirement homes! As Director of Leadership, I connect members of our chapter to other organizations on campus, as well as encourage our continued presence in organizations where we are already involved. My favorite part about my job is seeing the impact members of our chapter make on Auburn’s campus. 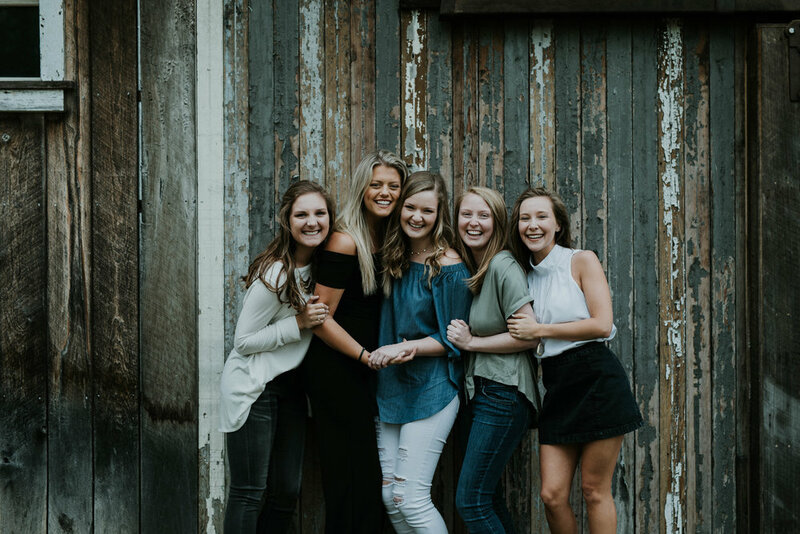 Between War Eagle Girls, elected and appointed members of SGA, mentors to freshmen in Emerge at Auburn, or Student Recruiters to potential Auburn students, people across our campus and community are loved on by members of our chapter. I can’t wait to help and assist our incoming pledge class as a resource in connecting them all across our campus, and encouraging them to be active and passionate leaders. My favorite thing about serving as Director of Activities is that I am able to encourage girls to participate in different Panhellenic events. I think it is very important to show our support to other sororities to promote inclusiveness on campus and to get to know girls we may not get to know otherwise. I have loved this role as I have gotten to reach out to other sororities, form bonds within Alpha Gam, and serve the girls around me. My role as Intramural Chair is to organize each individual sports team and schedule our games! I am responsible for selecting our jerseys and making sure everyone is always in the know about upcoming games and sports coming up. My favorite part of my role has most definitely been the unforeseen friendships that I have gained. Playing sports with someone creates a unique, special bond and trust. I have gained friendships in other pledge classes that I would have never been exposed to without intramurals! These ladies serve Alpha Gam so well, and we are so thankful for all of their hard work. Because of Campus Relation's work, we are involved in over 130 organiztaions on campus, and Alpha Gam looks forward to participating in Panhellenic events with other sororities. We love y'all! !